Overview: Imagine that you are ascending up ‘halo’ staircases towards a floating skywalk above. Imagine yourself peering down at the Cuyahoga River and gazing across the beautiful horizon of downtown Cleveland or viewing the Flats from a whole new perspective. A great building should not be a transition that connects two pieces of land together, but a destination that brings people together as well. 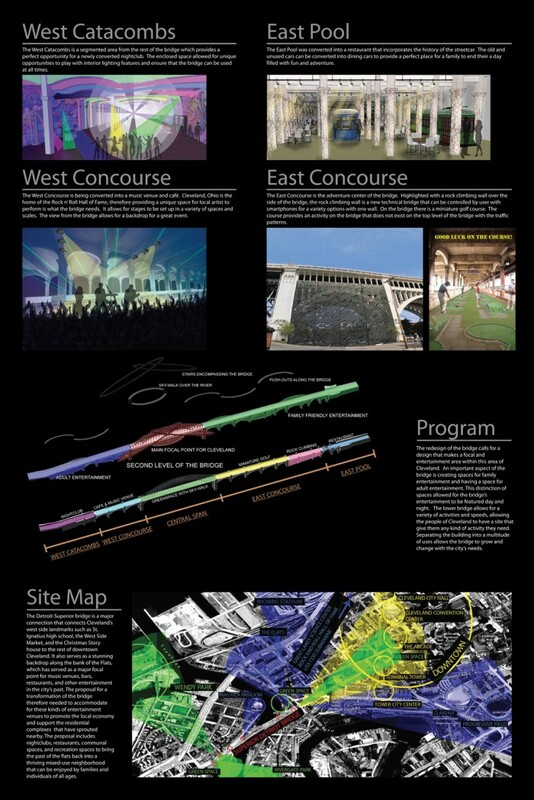 The redesign of the bridge calls for a design that makes a focal and entertainment area within this area of Cleveland. An important aspect of the bridge is creating space for family and adult entertainment. This distinction of these spaces allowed for the bridge’s entertainment to be featured day and night. 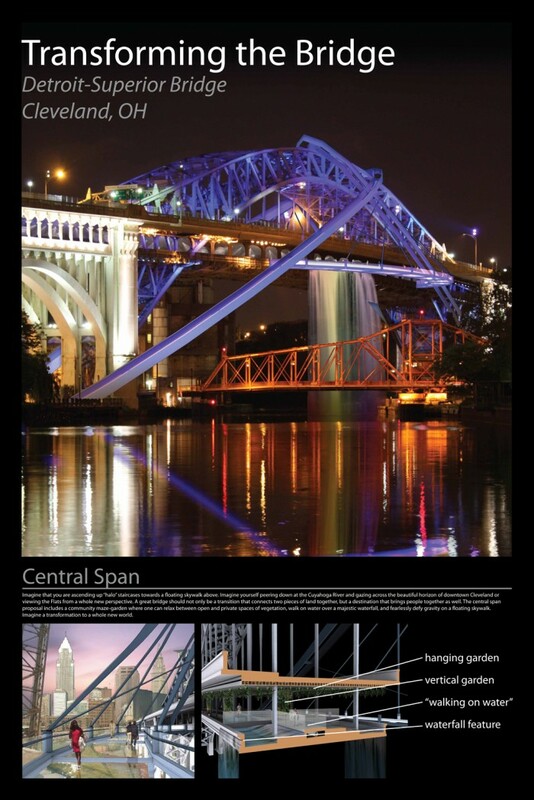 The lower bridge allows for a variety of activities and speeds, allowing the people of Cleveland to have a site that gives them any kind of activity needed. 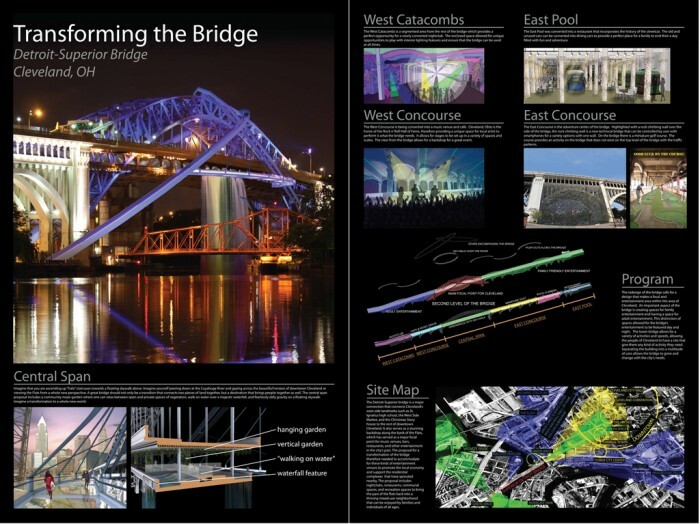 Separating the building into a multitude of uses allows the bridge to grow and change with the city’s needs. The East Concourse is the adventure center of the bridge. Highlighted with a rock climbing wall over the side of the bridge, it is a new technical bridge that can be controlled by user with smartphones for a variety of options with one wall.